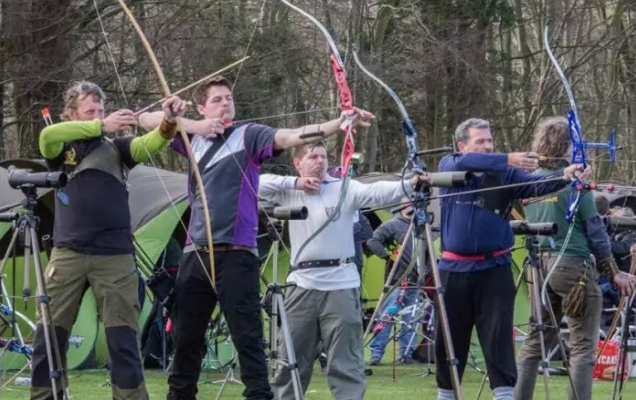 The first weekend of April saw some of the best archers in Britain gather at Darley Dale for the a World Record Status competition. The contest was run by Darley Bridge based Derwent Bowmen Archery club at the Darley Dale Cricket Club field. Olympians, Paralympians and national squad archers from all over Britain mixed with club archers, senior and junior to shoot thousands of arrows over two days. Amongst many excellent performances, notable was Alex Wise (GSF athlete), 16, who shot a score of 1,268 on Saturday, beating Olympic squad member Patrick Huston (also a GSF athlete based in Belfast) into third place. This collaboration between two local sports clubs brought hundreds of visitors to the area for two days. Great news that Alex is starting to be recognised from a young ages for his fantastic achievements. We look forward to seeing how the rest of the season goes – great things to come!